Worst and Average Case Time Complexity (Worst case occurs when array is completely in reverse order): O(n*n). Best Case Time Complexity (Best case occurs when given array is already sorted ): O(n). Boundary Cases: Bubble sort takes minimum time (Order of n) when elements are already sorted. 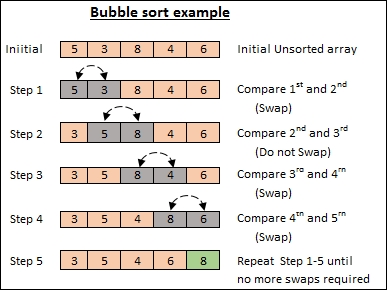 Bubble Sort Algorithm is the most Simple and most Popular Sorting Algorithm. In this article you will find the Bubble Sort Algorithm implemented in Java.